What was his finest work? The finest thing which Vaughan Williams ever wrote was not one of his symphonies; most of which seem to me to be terminally turgid. Neither was it the lovely Lark Ascending or the Tallis Fantasia, both of which evoke a certain transitory atmosphere probably more in tune with English than other sensitivities. It is not the charming Wasps Overture or even On Wenlock Edge, arguably the greatest song-cycle by an English composer. A case might be made for Dona Nobis Pacem which includes, in its “Dirge for Two Veterans”, one of the finest choral pieces of the 20th century. But in my opinion, it is not even written on manuscript paper; it is the essay published in 1934 entitled National Music. 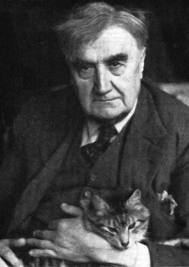 Along with Berlioz’s Memoirs, Vaughan Williams’s National Music is the book on music I turn to the most often for pure pleasure (most certainly not, in the case of the Berlioz, for factual reference). The writing style is easy, the content interesting and the views expressed so uncompromisingly direct and personal that it always lifts the spirits after wading through pages of the politically-correct and culturally-sensitive ideas flavoured by an egotistical self-belief which are the stuff of most books on music today. There isn’t a writer around who could even get close to the egotistical self-belief of Berlioz, while VW’s complete disregard for the niceties of cross-cultural tolerance would be met with horror if uttered today by any academic. Like any self-respecting Englishman, VW was here having a dig at the Europeans – how Margaret Thatcher would have admired the man! – but his sentiments have a resonance on one international musical interface (there goes the linguistically-complex academic in me!) to which he never referred and, possibly, never even acknowledged. In his day, British English was the language to be used, and if former colonial possessions, such as the USA, decided to deviate from the path of true linguistics, that was of no concern to him. Yet the Americans have devised their own musical language, and have thus hammered even more nails into the coffin of the discredited cliché that “music is an international language”. The only problem is, the Americans have improved it immeasurably. I refer to the words they use to describe aspects of rhythm. “There are three beats in each bar, and each beat is worth a quaver which is worth half a beat, and there are three quavers in a dotted crotchet, which means this is a compound time signature and there are really eight beats in each bar”. 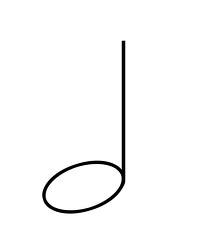 Linguistically what conceivable link is there between a quaver and a crotchet, a crotchet and a minim or a minim and a semibreve, all the names English students are obliged to apply to poor, innocent notes. A simple note gets so burdened down by linguistic convolutions, that it’s a wonder they survive. What the English call a Crotchet, the French and Spanish call a Noire and a Negra respectively (sensible in that the note appears on the page as a black dot, although we then run into the confusions of black and white keys on a piano), while Groves Dictionary tells us that the original Latin word for it was a semiminima which has some logic of course (as Latin always does) but I can’t imagine a six-year-old taking the word easily on board in an early music lesson. Without any clear linkage between the words for notes, it is very difficult indeed for the student to grasp their physical relationships. Just look how English children lap up the subdivisions of a quaver (semiquaver, demisemiquaver, hemidemisemiquaver, semihemidemisemiquaver – we used to play games to see how far we could go down that route); they crave a coherent sequence which implies spatial relationships – forget the fact that the shorter the note, the longer the name, as long as there is some logic to it, children love it. Try as I might, I cannot find a coherent etymology for the words Quaver, Crotchet or Minim, and this, by its very nature, renders the words difficult to understand, because they have no clear parallels in the English language; the nearest I can think of, quavering, crochet and minimal, have no obvious connection with their musical lookalikes. So we present all our young music students with a herculean task of learning difficult and illogical words, and then compound the problem by distilling them into time-signatures which, on the surface of it, are equally incoherent. No wonder so many of them give up when it comes to learning musical theory. What IS the difference between 3/8, 3/4 and 3/2; why are 12/8, 9/8 and 6/8 compound times when 3/8 is not? Of course, the linguistic explanation of something as obtuse as rhythm is always going to be difficult, but do we really need to make it so overwhelmingly so? The Americans don’t. They use laser-like logic and, at a stroke, clarify things. 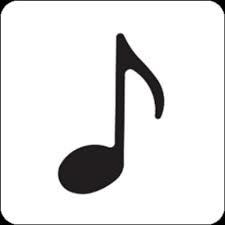 Thus it is that note values are described in terms which indicate direct relation – half note, quarter note, eighth note – and instantly explain time-signatures. If you say there are three eighth-notes in a bar, how much easier that is to relate to a 3/8 time-signature than if you say there are three quavers. It also stops that terrible habit of teachers telling students that a crotchet is a one beat note (which it isn’t); and by doing that, the real difficulties students have when they come to explain time-signatures are almost wholly overcome. When you can accept that a one beat note is named in the time-signature itself (bottom figure), there is no confusion. And American sense does not end there. How much more sensible it is to describe the interval between two bar-lines as a measure. The English (with their fondness for the consumption of alcohol) like the word bar and use it to mean two different things in music; the dividing line and the spaces it divides. So we have the crazy situation where you refer to a bar by number and nobody know whether you are referring to the bar line or the bit after/before the bar-line. I have to confess, too, that I much prefer staff to stave, the former giving a clearer picture that notes are supported by those five lines. Are these short measures at the bar? I know of no international orchestra, conductor or ensemble who use British English terms, and those brought up with British English terminology are obliged to learn the American terminology if they take music professionally. Why do we not simply discard these terms and allow the Americans to hold sway? After all, they have a pretty universal hold over what we watch (on cinema and television), on what we eat (the ghastly MacDonald’s), on what we drink (the appalling Starbucks) and on what we write our blogs (God bless you, Messrs Gates and Jobs) so why not let them cast their influence over our music. Just for once, we can do something to make music more of a universal language. Perhaps I may add to your excellent description of eccentric music terminology. The naming of intervals seems to be specifically designed to confuse those who try to think mathematically. What do you get if you add a third and a third ? Two thirds ? Nice try. No a third plus a third equals a fifth. Try again, what is a fourth plus a fourth, yes a seventh. Just imagine trying to explain how that works, to a child, shortly after explaining the concept of fractions. Or, if you chose to, the mathematics of adding crotchets, quavers, dotted quavers, semiquavers, or is it fourth notes, eighth notes, dotted eighth notes and sixteenth notes. Intervals don’t even work as reciprocals, a fourth plus a third, add four and three, you get seven, but a fourth plus a third is a sixth. Yes, you have to take 1 away, because intervals do not actually tell you the interval, they tell you the number of notes involved, including the notes at both ends. Fancy calling a week an “oct-day”. For string players with funny maths doesn’t stop there, because we have numbered positions in the left hand. First position is when the first finger is a second above the open string. Fourth position is when the first finger is a fifth above the open string. If you are in fourth position, and you move up a fourth, you reach seventh position, and your finger is an octave above the open string. For cellists there is a further confusion, since the four fingers span the interval of a third (in lower positions), so in first position when your first finger is a second about the open string, your fourth finger is a fourth above the open string, and if you were to shift to put your first finger where your fourth finger had been, you would now be in third position. And then there are half positions, which can really confuse people: a semi-tone below first position is half position, and then there are lower and upper second positions and third positions, each a semi-tone apart, but only one forth position, and so on. The great cellist Starker tried to resolve this terminology problem, by numbering all the cello hand positions in semitones, which gets rid of the ambiguity, but makes the mental maths yet harder: you are in second position when your first finger is a second above the open string (yes ! at last ! ), but when you move to a fourth above the open string you are in fifth position, when a fifth above you are in seventh position, and when an octave above you are in twelfth position. The finest thing RVW wrote was undoubtedly the 6th Mystical Song!! Nice One! That sounds like the kind of information you'd find on Wikipedia. How many scholars are now trawling YouTube for a performance of the sixth???!! !